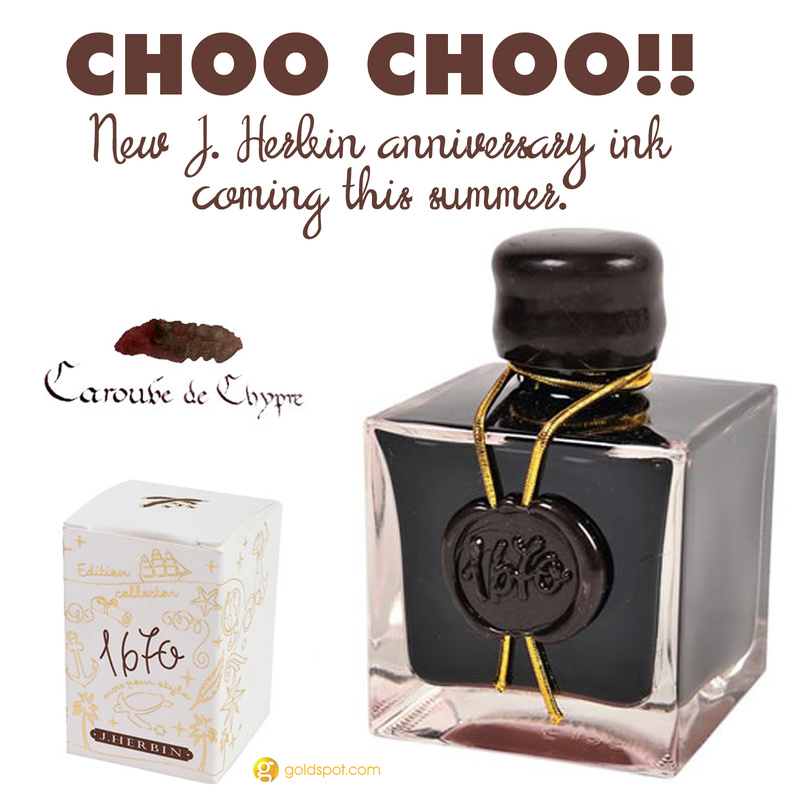 A new year, a new J. Herbin Anniversary ink for pen lovers to get crazy about. 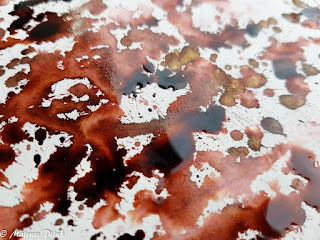 One would think that after Diamine introduced their line of Shimmertastic inks in 2015, the excitement over another sparkling ink from J. Herbin would slightly diminish. 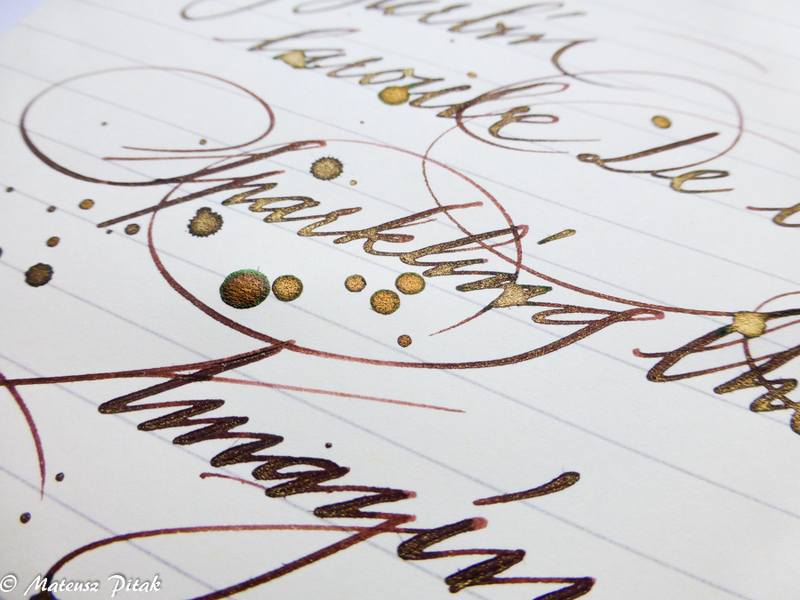 However, J. Herbin smartly tackled their next color to stand out from the crowd. They have healthy and therapeutic properties. 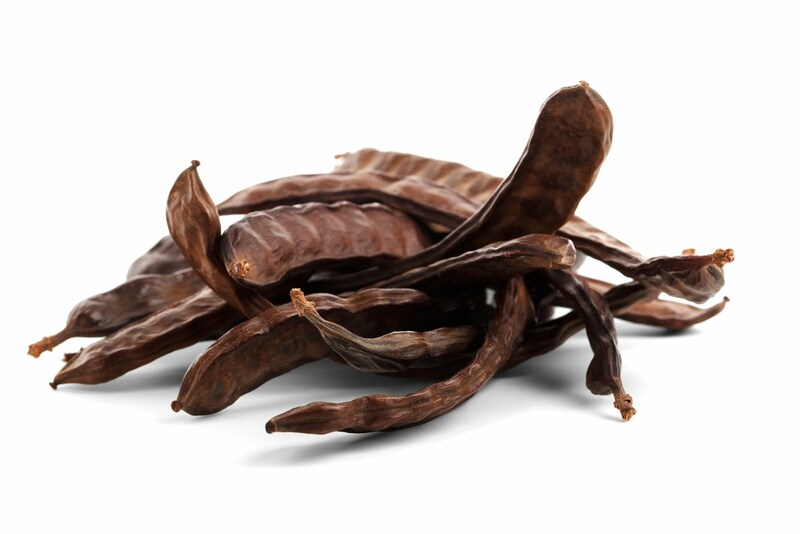 The Carob trees were cultivated all around the mediterranean since ancient times. The pods were so popular, they were called the "black gold of Cyprus." 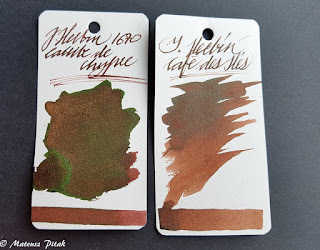 We were able to sample a bit of the Caroube de Chypre at the National Stationery Show that concluded this week. 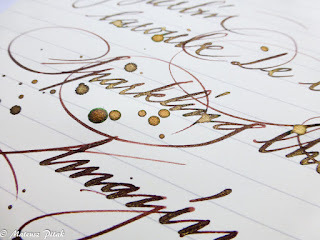 We had help from all-star calligrapher .... to create these wonderful photos that show off the shimmer and sheen of this ink. Unfortunately, we were not allowed to take any of this ink back to the office with us, but seeing it in person was truly an experience! As with the Emerald of Chivor that nearly broke our website last year, we anticipate demand for this ink will be high when the initial shipment arrives. This year, we're giving our loyal newsletter subscribers the first opportunity to buy this ink when it becomes available. So, make sure you're signed up for our newsletter list by following the link below. Estimated Retail : $26 per 50mL glass bottle.